Vishal Personal Care Pvt. Ltd.
Mediherbz henna plus is made from pure, natural henna leaves with a unique combination of brahmi, bringaraj, tulasi and other herbs, provides complete hair treatment against graying, dandruff, baldness and relaxation. The hair conditioning properties of henna plus make hair healthy and strong by planting and protecting the hair, promotes hair growth and prevents hair falling. Henna has been in use for more than 6000 years. At Anoo’s we have burnt the proverbial to explore how Henna can be used to make hair look dazzlingly natural and in its true colors. The result is Black Expert. Ancient Living Henna Mix, enriched with Loha Bhasma , controls dandruff on its first application, provides complete nourishment making your hair healthy, silky and shining. It prevents the hair fall and inhibits natural growth. 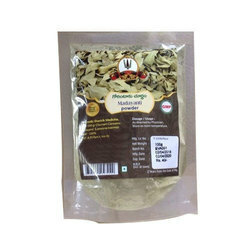 Main ingredients are Amalaki, Haritaki, Vibhitaki, Neeli, Bhringaraja, Loha bhasma, Methi powder. We produce high quality henna powder for those who want to be with fashion. These hair colors are also long lasting and do not easily fade. Our range is completely non reactive and do not cause any allergies. This powder is extensively for making hair strong, lengthy as well as shiny. We are looking queries for Andhra Pradesh region only. 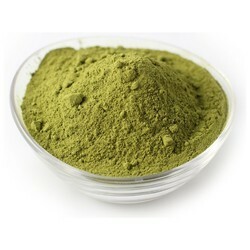 Herbal Henna made from pure Henna leaves and rich & rare natural Indian herbs is used for hair conditioning. A regular use of Herbal Henna naturally conditions hair and gives strength and shine to the hair. Amaravathi Naturo Tech Pvt. Ltd.